The genesis of my “what if” premise for Halloran’s War was many years in the making, although I didn’t realize at the time that I’d eventually put a military sci-fi series together around the concept. This idea has been in my head for literally four decades. 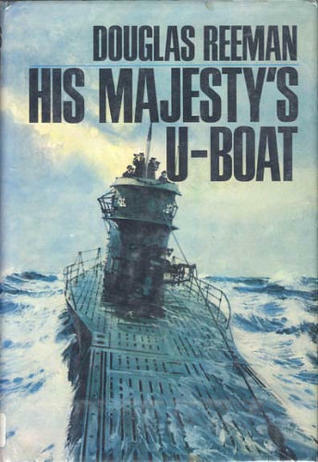 I read a book by one my all-time favorite authors, Douglas Reeman, called “His Majesty’s U-Boat” in which an English Captain and seasoned sub crew are tasked with learning to fight in a captured German U-Boat in order to complete several missions of deception into enemy harbor in the Med during WW2. That book premise has stuck with me ever since. Of course, I’m a sub movie fan as well. From Run Silent, Run Deep to The Hunt for Red October, there’ll all good to me – even the cheesy ones. Anyone remember Operation Petticoat? There was a more-recent called U-571 starring several interesting actors which featured a historical premise; the recovering of the Enigma code machine from a German U-Boat during WW2. Never mind the minor fact that it was actually the Brits who peached the prize during the war, this retelling has the intrepid American sub crew winning the day. 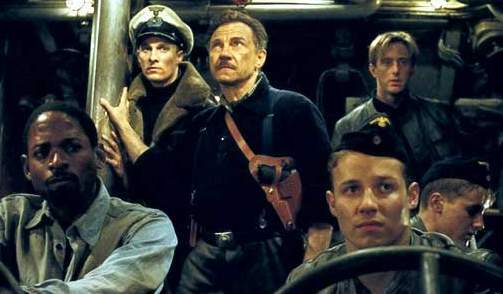 What I really loved about the movie’s premise, however, and what I think was the germ of the idea that is eventually becoming a far-future version Halloran’s War, is the way that the small band of surviving US crew are stuck aboard U-571 after their own sub is destroyed by a third sub, another German U-Boat. The crew have figure out how to operate their new best friend, foreign language and all, to stay alive and begin fighting back. The movie is not a cinematic tour-de-force but it was a sub movie – and a WW2 one at that – so I’m good here. When you get a chance to read Halloran’s War, in particular book one “War Without Honor”, let me know if you see the influences. Sign me up to receive posts from JR Geoghan!